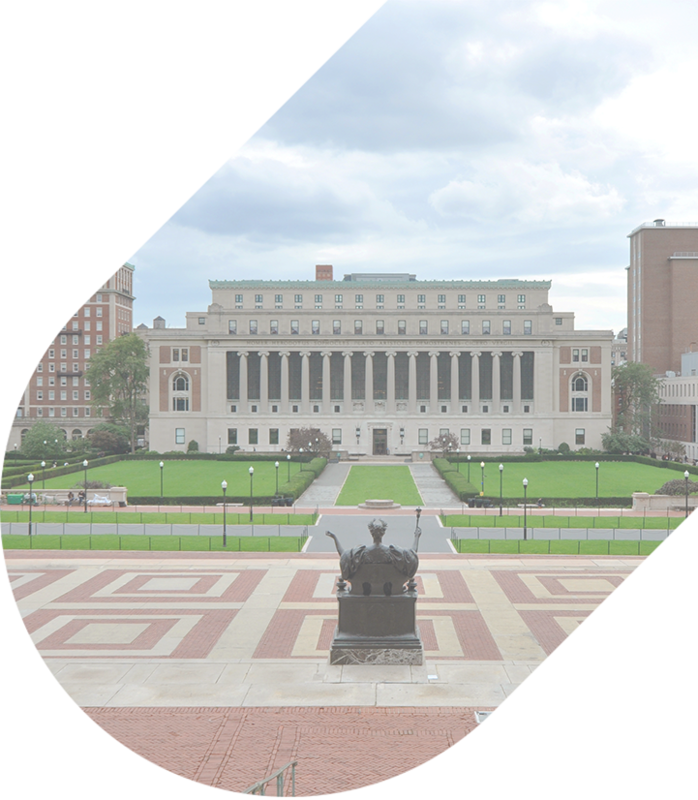 Thinking of taking your students on a campus tour of Columbia University? Rely on National Charter Bus to provide reliable and seamless transportation to the campus and around New York City. Don’t worry about driving yourself around one of the nation’s busiest cities-- leave the travel logistics to us so you can focus on enjoying your time on campus. We book a variety of bus sizes, perfect for groups of all types. Bring in a small group of students on a minibus or transport your entire senior class on a full-sized coach-- either way, we’ll make sure everyone is accommodated. Amenity options include, but are not limited to, WiFi, air conditioning, reclining seats, televisions with DVD players, overhead storage, auxiliary plug-ins, and more. If you’ll be traveling from out of town, you can even request a full-sized bus with an on-board restroom to help eliminate unnecessary pit stops along your journey. As the oldest university in the state of New York and only the fifth-oldest university in the United States, Columbia University has a long history of educating some of the USA’s most important historical figures. Notable alumni include Alexander Hamilton, Theodore and Franklin Roosevelt, Ruth Bader Ginsburg, Barack Obama, and many other celebrities, political figures, and Nobel Prize winners. Students can choose to join any of the multiple fraternities, sororities, and co-ed Greek organizations on campus. Four years of on-campus housing is also guaranteed for all undergraduates, making it easy to stay connected to to the city’s most exciting activities. Columbia University offers plenty of opportunities for students to learn about their potential future home. Both information sessions and campus tours are available for individuals and groups, provided you’ve reserved a date and time in advance. If you decide you’re interested in the university, you can even schedule a class visit for your prospective student. 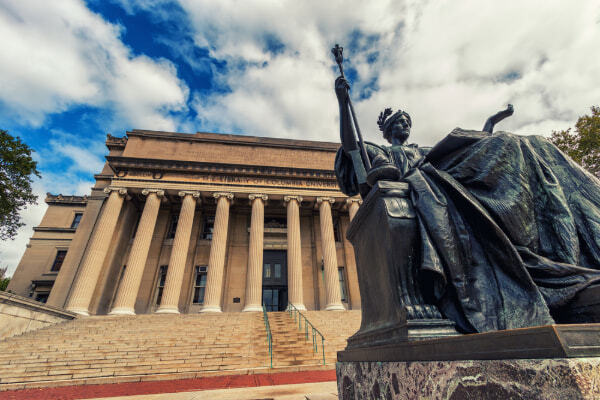 One-hour information sessions take place in the Visitors Center in the Low Memorial Library and provide information regarding everything you need to know about undergraduate life at Columbia University. A member of the admissions committee will explain the curriculum and requirements for enrollment while a current student will share their experience with living in the city, participating in extracurricular activities, and other relevant topics. Campus tours, also scheduled to last one hour, are led by current undergraduate students and offer an overview of campus life at the main Columbia College campus. If your students are interested in entering the engineering program, a separate tour of Columbia Engineering can be arranged, during which students can interact with the engineering school’s faculty and students. You can schedule your group tour online at least three weeks prior to your desired tour date. Groups of no more than 40 high-school students may schedule a group tour on any day during regular tour hours, with the exception of weekends and university holidays. Once you’ve scheduled your tour, call National Charter Bus at 718-233-4974 to book a bus for your traveling group. We’ll pair you with a professional driver who will ensure that you arrive to your tour right on time. Don’t worry about getting lost in the city or navigating unfamiliar public transportation routes-- we’ll drop you off and pick you up when you need us. Ready to learn even more about life at Columbia University? Prospective students can attend a class between mid-February and mid-April to familiarize themselves with Columbia’s curriculum and academic rigor. 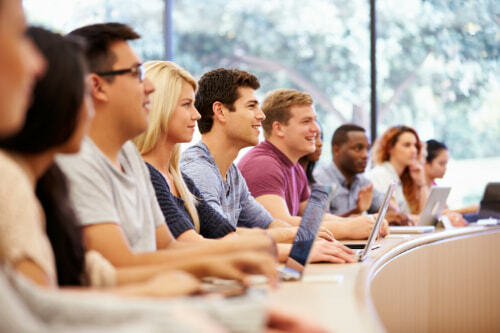 Just like with your original campus tour, National Charter Bus will make sure that you arrive to campus safely for your class visit, and take you to any additional stops you’d like to visit during your trip to NYC. Take advantage of your return visit to Columbia by filling up an itinerary with some of NYC’s top destinations! If you’re considering applying to Columbia University, it’s important to be familiar with the surrounding area as well as the main campus. 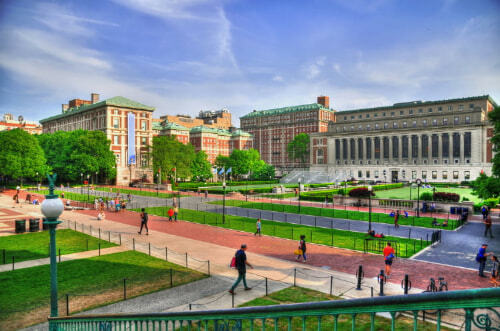 Located in the Morningside Heights neighborhood of Manhattan, Columbia’s campus offers easy access to much of New York City’s exciting daily activities. Riverside Park to the west offers beautiful views of the Hudson River, while Central Park, filled with over 800 acres of greenery, sits just a few blocks to the south. Harlem’s Apollo Theater also lives within walking distance, hosting plenty of opportunities to get away from campus and see an unforgettable musical show. If you’d like to explore areas further from campus, such as the city’s other four boroughs, National Charter Bus will help you stick to your itinerary on the day of your college tour. Make it a day trip with your group and see what the city has in store. When you book with us, you can create your own itinerary filled with local attractions that you’d like to see, and your bus driver will make sure you arrive to each one in a timely manner once you’ve finished exploring everything that Columbia’s campus has to offer. Ready to book? Call National Charter Bus at 718-233-4974 to book your bus for your upcoming tour of Columbia University. Whether you’re coming from within NYC or from another major city such as Philadelphia, Boston, Chicago, or Atlanta, we’ll bring you into the city with ease. Rely on us to make your campus tour unforgettable. Our 24-hour agents are always happy to take your call and provide you with a free quote for your trip. Call today to get started!